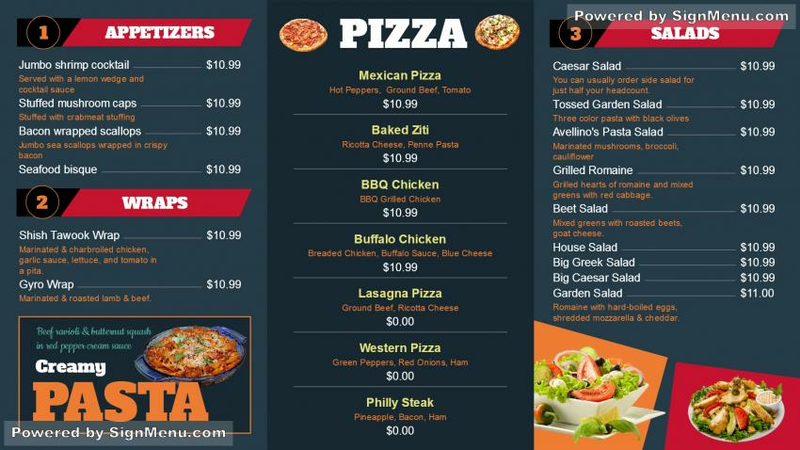 The pizza shop menu board template comes in bright and hot colors only for the customers. The layout is interesting, crisp, effective and compact making selection easy for the customer. The headings have a fun feeling while the pizza varieties and prices have a more formal appearance. The images of the pizza and the side dishes look delicious.